The 2018 Mercedes-Benz CLA interior offers the kind of high-tech features. That is especially exciting considering that this is the most affordable model in the Mercedes-Benz lineup. If you are looking to seriously upgrade what you drive without overspending, this compact sedan is the ideal option. 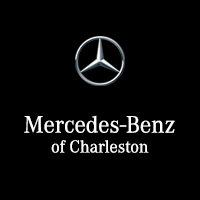 Make plans to visit Mercedes-Benz of Charleston for a tour and test drive. This unique dashboard design helps to give the CLA interior its singular look while also organizing controls and displays in a way that maximizes visibility and accessibility. This touchscreen display relies on bright graphics and intuitive menus to puts endless infotainment options within your reach. These seats help to cushion and support the body when you are engaged in performance driving. They also provide ample amounts of comfort on the roads of Huntington. When the weather is nice in Beckley, you can open this expansive sunroof to let in the bright sun and warm breeze. It's almost like having a convertible without all the hassle. The introductory trim has a starting MSRP of just $32,700, but it is equipped like a vehicle that costs much more than that. The MB-Tex upholstery has a soft and supple feel, but stands up to long-term wear and tear. Dual-zone climate controls ensure that both driver and passenger ride in total comfort at all times, and hands-free Bluetooth®* interface makes your phone accessible even when you’re focused on the road. Finally, the stereo system is enhanced with a USB port and HD radio so that you can easily listen to whatever you want at any time. There is so much to do in Charleston right now that you will not want to sit around at home. The latest CLA will take you anywhere you need to go, and we have an extensive inventory at our dealership. Count on us for all things financing, and contact us if you have questions prior to your visit.